Ceramic braces are a clear alternative to metal braces using clear tooth coloured brackets. 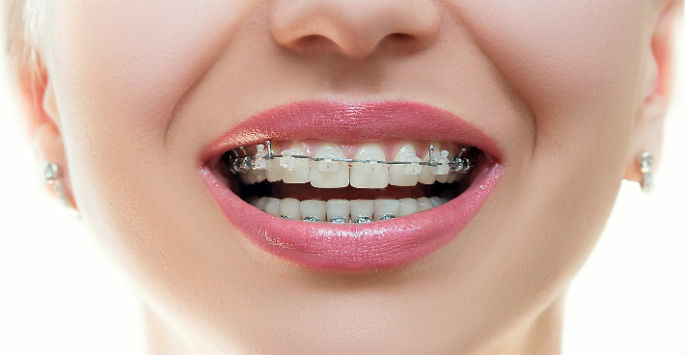 The advantage of these brackets are that they are less noticeable, which means you can smile with confidence. Ceramic brackets are a great choice for both adults and children. The wires that are used to bring the teeth into the desired position can also be tooth coloured but as treatment progresses stronger metal wires will be needed. Ceramic brackets are a cost effective alternative to incognito and Invisalign as there are no laboratory fees involved. Simple alignment of the front teeth can change your smile in six months. The wires that are used to bring the teeth into the desired position can also be tooth colored but as treatment progresses stronger metal wires will be needed.